HUNTER, Dan Michael Dan Michael Hunter of Middletown passed away peacefully with family at his side Wednesday, (October 29, 2008), at Hartford Hospital from injuries he sustained in a motorcycle accident. He was the loving husband of Jeriann Showerda Hunter most recently celebrating their 25th wedding anniversary and loving father of son D.J. and daughter Chelsea. He was born in Meriden, July 7, 1959, son of Vern A. and Barbara M. Hancock Hunter of Fort Myers Beach, FL and Clinton, CT and graduated from St. Joseph's School and Orville H. Platt H.S. in Meriden. 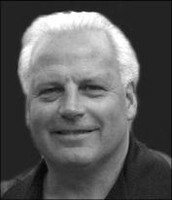 He joined the family business in 1979 and was currently Executive Vice President and Chief Operations Officer of Hunter's Ambulance Service, Inc., and President of Hunter Limousines Ltd. of Connecticut, Inc. Dan will forever be remembered as a devoted husband, father, son, brother, brother-in-law, godfather, uncle, cousin, and great friend. He treasured spending time with his family and friends and cherished his time attending D.J. 's and Chelsea's soccer games. He volunteered many years as a coach for youth baseball and youth soccer teams. His wife and children were his lifeblood. His pride for the talents and accomplishments of his children was always present in each and every part of the life he lived. His passionate work with children, exuberant community spirit and endearing concern for others are intricately woven into the fabric of the communities where he lived and worked and shall serve as the guiding principles of his legacy. Dan was a parishioner of St. Joseph Church and the immediate Past President of the Meriden Rotary Club, a member of and serving on several Boards of Directors including the American Ambulance Association, American Red Cross, Benjamin Franklin Elementary School Partnership, CT Police Chiefs Association, Meriden Boys & Girls Club, Meriden Chamber of Commerce and other local Chambers, Meriden Elks Club, and MidState Medical Center Auxiliary. Dan served his community and corporation through his many years as a paramedic and most recently as a true industry leader and mentor. Dan has been recognized and has received numerous awards for his involvement and dedication to community events. Besides his wife, children and parents, he is survived by his siblings: Dale Hunter of Meriden; David Hunter and wife Janice of Cheshire; Dennis Hunter and wife Darlene of Meriden; Diane Hunter-Kranich and husband Jim of Durham; Donna Hunter of Meriden; Dana Moyer and husband Rick of Meriden; and Debra Robertson and husband Keith of West Hartford; sisters-in-law and brothers-in-law Carol and Cliff Carlson of Clinton and Michael and Kathleen Showerda of Meriden; and loving nieces, nephews, cousins, uncles, aunts, dear friends, and his extended family at Hunter's Ambulance and Limousine Service. His family will receive relatives and friends in St. Joseph's Church, 159 West Main St., Meriden, on Sunday, November 2, from 3-7 p.m. A Mass of Christian Burial will be celebrated on Monday at 11 a.m., directly in St. Joseph's Church. Interment will be in St. Stanislaus Cemetery in Meriden.